When one thinks of high-end products that are bought as gifts; wine, chocolates and truffles usually makes the list. But Le Jardin de Rabelais, a French grower of cherry tomatoes, is hoping that, going forward, high-end tomatoes will also be included in that list. “The idea is for the consumer to buy a box of our tomatoes the same way he'd buy chocolates or flowers,” said Aurélien Serrault. “So we present our tomatoes in a way where we add value.” They hope to target high-income customers who make purchases based on value rather than price, and to that end, their tomatoes can be found in specialty shops and high-end produce retailers in France. But in order to get premium prices, Serrault noted that they have to offer a premium product. “We have a very good variety that only a few growers in Europe are able to provide,” he said. 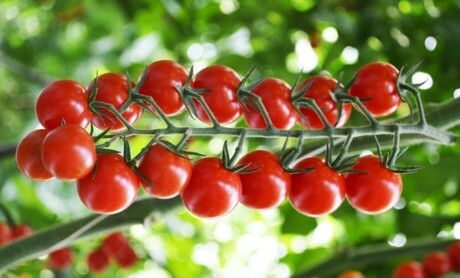 “Our main focus is taste, and we think that if we maintain that good taste we'll be able to continue to sell our tomatoes as a premium product.” He added that they choose the best of their tomatoes to put in their premium 300g box, and that every vine has to have at least 10 cherry tomatoes to make the cut. That kind of quality is achieved, in turn, with careful attention to the growing process which takes place on 11.5 hectares spread out across five greenhouses. “We grow tomatoes year-round,” said Serrault. “The climate is really good for growing tomatoes here.” In addition to being situated in an area conducive to growing high-quality produce, Serrault said they've retrofitted their greenhouses with several features that cut down on costs and waste, like using the excess heat from a nearby power plant to heat their greenhouses. Le Jardin de Rabelais will also build a biogas plant in early 2014: “We will recycle organic waste and harness the gas that's produced to power an engine that creates electricity and heat,” said Serrault. “We will use the heat for our greenhouse and sell the electricity to electric network providers.” The project will recycle about 36,000 tons of organic waste a year that will be used as fertilizer. 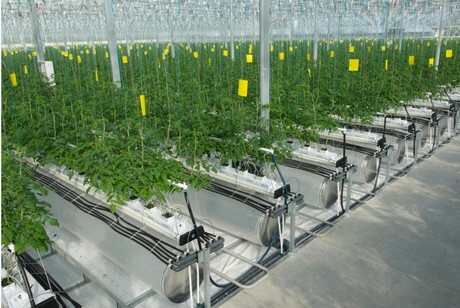 Serrault noted that things like that help with the efficiency of their operation, and it makes it easier to grow their high-quality tomatoes. Mob: +33 6 14 39 98 42.